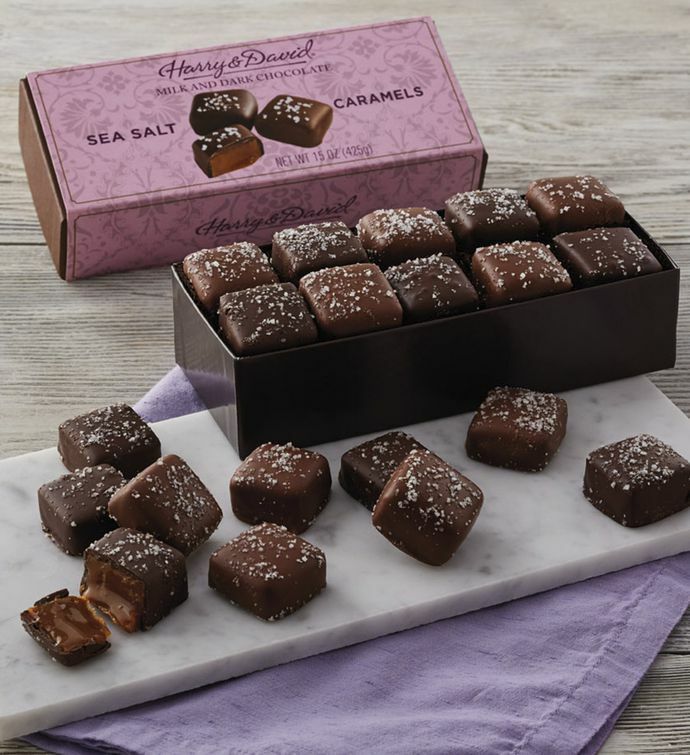 Salty and sweet is a match made in heaven, and our sea salt caramels are a perfect blending of these two flavors. Buttery caramels are enrobed in premium truffle-grade chocolate and finished with a sprinkling of fine sea salt. Half are dark chocolate and half are milk chocolate.